For the nearly 3,500 Nebraska students at Memorial Stadium on Saturday night for the Boneyard Bash, it may have felt a little like game day. 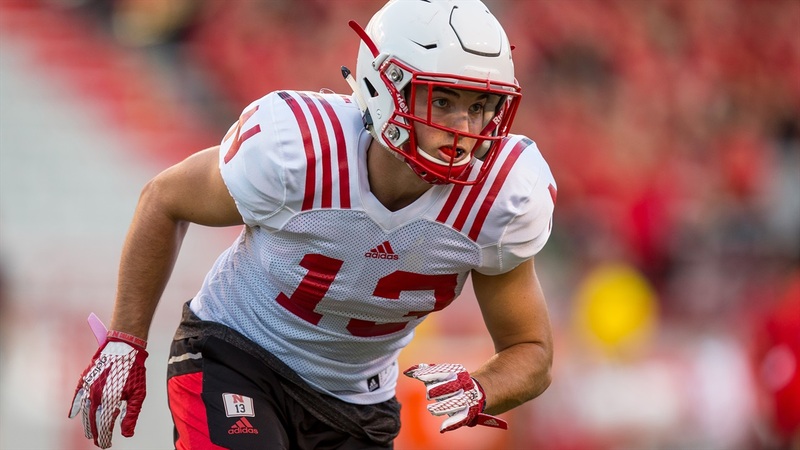 For the Huskers going through their final practice before game-week preparation officially begins, it was designed to feel much the same, but in smaller doses. "This was a night of situations," Coach Mike Riley said. "We substituted lots of personnel groups, lots of different special-teams situations, game situations. We ran 64 different deals tonight and I thought they stayed in it pretty well." Riley announced captains for the 2016 season on Saturday and also the list of true freshmen who are not redshirting and should play in the opener against Fresno State. That list, at this point, includes defensive backs Lamar Jackson and JoJo Domann, punter Caleb Lightbourn and running back Tre Bryant. Lightbourn will be Nebraska's starting punter and the other three are all expected to contribute on special teams as well, but there might be even more in store for Bryant, who took a lot of snaps alongside the Huskers' returning running backs Saturday night. "Tre Bryant is really a football player," Riley said. "Tre has kind of just fit in so well. He’ll be our kickoff returner, he’ll get a mix as a running back. One of the things you have to look for early in a running back is his running ability, which was obvious, but how does he fit into the passing game? Can he run a route? Can he catch the ball? Can he pass protect?" Bryant appears to have checked all of those boxes and has been particularly impressive in pass protection, where Riley says Bryant reminds him of former Oregon State star Jacquizz Rodgers. Rodgers rushed for 1,253 yards in his first season with the Beavers, breaking the Pac-10 freshman rushing record in 2008. It was his pass blocking, however, that made Riley confident enough to play Rogers right away. "Right away he understood pass protection. Not so much the physical part of just blocking, but kind of understanding who the pickup was and how this all works," Riley said. "Tre was really natural about that, [too]." There are also a number of freshmen on what Riley called the "alert list," which means they'll prepare like they could play but will only be used in an emergency. That group includes three freshmen offensive linemen: Boe Wilson, Matt Farniok and John Raridon. Given the season-ending injury to Jerald Foster, Boe Wilson is the closest to playing at left guard but Riley said senior Sam Hahn will start the opener there. Senior Corey Whitaker is also expected back after undergoing surgery on his knee. Cornerback Dicaprio Bootle is also on the alert list, while Tony Butler was "right in it until the end," according to Riley. The surprise name on the redshirt list, for now, is wide receiver JD Spielman. "It’s a tough one," Riley said of making a call on Spielman. "He’s a real good football player. He could play a lot of different spots but because of the depth we have at receiver right now, we’re going to keep him on that redshirt alert, keep him practicing."